Project Services offers professional trades — carpentry, masonry, plastering, electrical, plumbing, HVAC, cabinetry and upholstery — for remodeling existing or building new spaces throughout the University and the health system. Project Services also offers free estimates for your project needs. 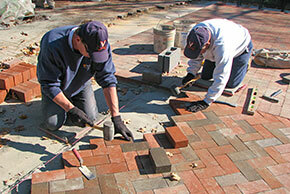 For more information or to request an estimate, visit the Project Services webpage.